I AM NOT A MAKEUP ARTIST, NOR DO I TRY TO BE! This post is me sharing the types of eyeshadow brushes I love using when I do play with eyeshadow. Besides adding the bling, a.k.a., the highlighter on my cheekbones and everywhere else on my face, eyeshadow is the most fun part for me when I do my makeup. This is the area where I can really exercise my creativity, and having the right tools is key to achieve the different looks that I plan for. 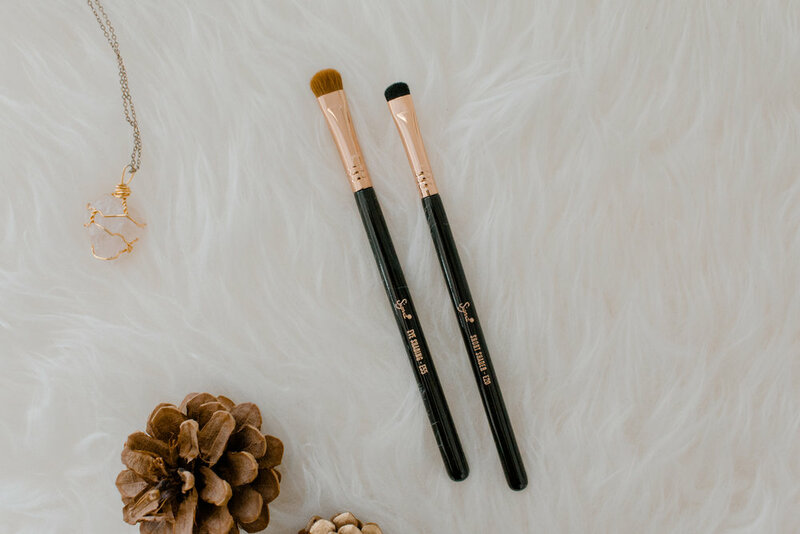 Like I said in the beginning of this post, today, I will be sharing with you my TOP 5 essential brushes for eyeshadow, and I really hope that you find this post helpful if you have been wanting to dive a little deeper in the world of makeup. If you watch a lot of YouTube, you probably already know how important blending brushes are! You hear all them beauty gurus say "blend, blend, blend, and blend some more!" 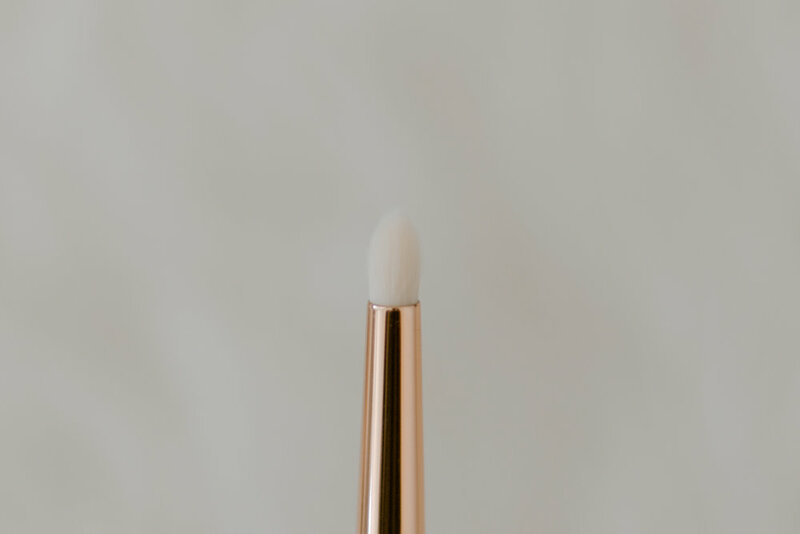 Blending brushes are probably the most important tool in eyeshadow application, and if I could only have one eyeshadow brush in my life, it would be this one. These brushes have short and dense bristles, and are used to really pack pigment on the lids. I use these brushes to apply eyeshadow all over the lid if I'm not using my finger. I usually use my finger for shimmery eyeshadows, but if I need extra precision, I go for a brush like the Sigma E55 or the Sigma E20. Pencil brushes are such an underrated tool that I love so much! If I had to choose a second brush to have with me forever, this will be it! I love how small they are for extreme precision work, but I mainly use them for lining and smudging my lower lash line. You can also use this brush in applying your inner corner highlight. My favorite ones to use are: BH Cosmetics 10 (got it from a set which is not available anymore), Sigma E30. Angled brushes are very versatile because you can use them for eyeshadow, eyeliner, and eyebrows! The variations you can get from angled brushes are based on their softness, so it will all come down to preference. I like a very stiff angled brush because I mainly use it for winged eyeliner! The stiffer the brush is, the easier the application is for me. The one I love using is Sigma E65. Last but not least, a buffer brush! A buffer brush is what I use to deepen up my outer v. If you love doing smokey eyes, this is a brush you need in your collection. A buffer brush has really dense bristles which allows you to really pack colors on the eyes, and this Sigma E39 in particular also helps blend the shadow in the process. It took me some time to grow my makeup brush collection, and in that time, I was able to really figure out the types of brushes that work for me. I have doubles of the brushes I mentioned above just because I'm too lazy to wash my brushes regularly, and I love to play around with different eyeshadow colors. Are you itching to buy eyeshadow brushes now? Which among the ones I mentioned do you have in your collection already? What brand is your favorite? Let me know in the comment box below!